Screening for lung cancer should be limited to a high-risk-population, and abnormalities in low-dose computed tomography (CT) screening images may be relevant for predicting the risk of lung cancer. Our aims were to compare the occurrence of visually detected emphysema and interstitial abnormalities in subjects with and without lung cancer in a screening population of smokers. Low-dose chest CT examinations (baseline and latest possible) of 1990 participants from The Danish Lung Cancer Screening Trial were independently evaluated by two observers who scored emphysema and interstitial abnormalities. Emphysema (lung density) was also measured quantitatively. Emphysema was seen more frequently and its extent was greater among participants with lung cancer on baseline (odds ratio (OR), 1.8, p = 0.017 and p = 0.002) and late examinations (OR 2.6, p < 0.001 and p < 0.001). No significant difference was found using quantitative measurements. Interstitial abnormalities were more common findings among participants with lung cancer (OR 5.1, p < 0.001 and OR 4.5, p < 0.001).There was no association between presence of emphysema and presence of interstitial abnormalities (OR 0.75, p = 0.499). Even early signs of emphysema and interstitial abnormalities are associated with lung cancer. Quantitative measurements of emphysema—regardless of type—do not show the same association. • Visually detected emphysema on CT is more frequent in individuals who develop lung cancer. • Emphysema grading is higher in those who develop lung cancer. • Interstitial abnormalities, including discrete changes, are associated with lung cancer. • Quantitative lung density measurements are not useful in lung cancer risk prediction. • Early CT signs of emphysema and interstitial abnormalities can predict future risk. The online version of this article (doi: 10.1007/s00330-015-3826-9) contains supplementary material, which is available to authorized users. We thank AstraZeneca, Sweden, for financial support. The scientific guarantor of this publication is Asger Dirksen. The authors of this manuscript declare no relationships with any companies whose products or services may be related to the subject matter of the article. One of the authors has significant statistical expertise. Institutional Review Board approval was obtained. Written informed consent was obtained from all subjects (patients) in this study. Some study subjects or cohorts have been previously reported in DLCST studies regarding nodule characteristics, lung function and lung density. Therefore an extensive overlap between study populations in these publications exists. 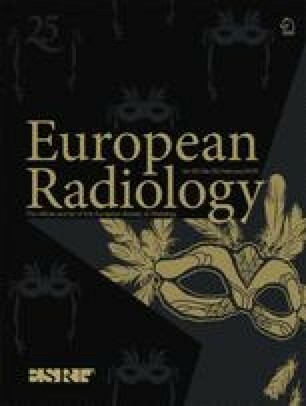 We have previously published a study on the interobserver agreement and emphysema progression in visual assessments of DLCST scans . The association of visual findings with lung cancer has, however, not previously been explored, and the data from the present study have not been published before. All relevant references are disclosed. Methodology: prospective, diagnostic or prognostic study, performed at one institution.